StaFit is different than just a $10 gym – we want you to come and be a part of our community. We are locally owned and operated. Our club has been serving the community for over thirty years and the personal relationship with our members is very different from the corporate, low price options that are available. We coach a lifestyle of healthy and inspired living. You will find a culture that fosters and encourages complete fitness, and all of the tools and training you need to see incredible results. Incredibly affordable pricing that allows your kids to have a great time with interactive play and staff who care so that you can enjoy a guilt-free workout. Expansive floor plans offer all your workout needs whether you prefer the bench press or the rower. 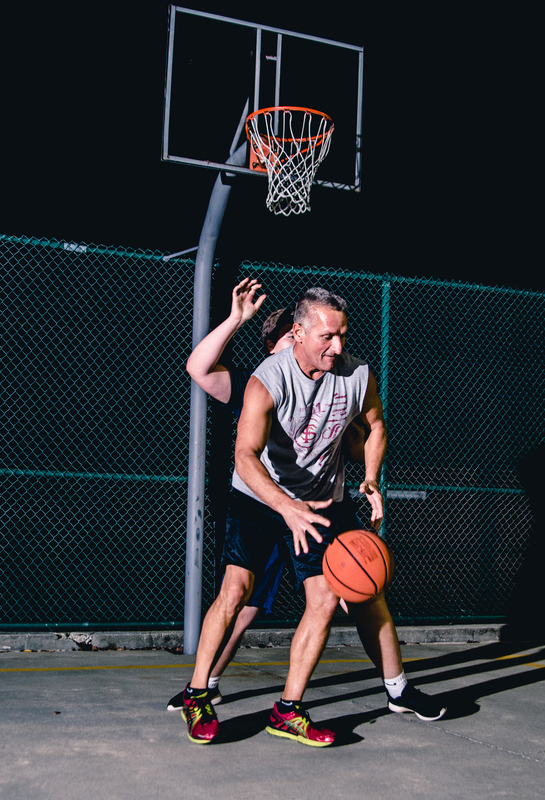 Old school street court available to you anytime day or night! Need to bust through a plateau? Set up with a trainer to switch it up: flip some tires, swing a sledgehammer and get ready for some battle-ropes. Re-invigorate your fitness routine in no time! Inhale the fresh steam, feel the toxins releasing from your body, and release the stresses of the day from your mind. The steam room not only helps to detoxify the body and boost the immune system, but is also shown to cause a dewy complexion. Even a short sweat session in a sauna can relax tightened muscles and increase blood flow post workout, as well as flush toxins out of the skin so that you emerge with a healthy glow. Join teachers and community who will keep you motivated and inspired! Find all you need from strength to cardio to mind-body and more! Heated Lap Pool: Open if we are open, year-round. 83 in the winter, matches up with regular gym hours for amazing availability. Lap-swimming AND AquaFit Team Training present through the entire year as well as Aqua Aerobics Classes April-November. Powered by positive energy, driven by member results. Working one-on-one creates an atmosphere of accountability between you and your personal trainer. Engage your core and improve muscle imbalances in our free weight area. Continue to challenge your body with a wide range of weight options, plus multiple racks so you don't have to wait in line to do your set. Free weight exercises offer nearly endless possibilities to help you obliterate even the toughest of trouble zones- ask a StaFit trainer for ideas. Get outdoors and get fit on our adult jungle gym- ropes to climb, tires to run, pull-up bars, parallel bars, monkey bars and wall climbs! TRX- Kettlebells - Battle Ropes - Medicine Balls -Slam Balls and More! -Try our suspension training workout system that leverages gravity and your bodyweight to perform hundreds of exercises. You're in control of how much you want to challenge yourself on each exercise - because you can simply adjust your body position to add or decrease resistance. -Get a full-body workout accessing Cardio and Strength Training in one session by utilizing our Small Group space with a trainer one on one, in a group setting or to maximize your own daily workout! Vighetti and Associates is conveniently located in-house for you to receive the most effective program whether it's to address a muscular imbalance or to rehabilitate you after an injury. Reserve the court and challenge your friends for a fast-paced game that will have you hooked in no time!